Cholqui is the best wine that we produce in every vintage and represents the most authentic expression of Cholquiai??i? ?s magic and its richness.Ai? ?Every grape of Cholqui comes from a group of selected corners and vines that show their concentration of flavors and aromatic profile to perfection.Ai? ?After a maceration of 7 days the wine is racked into New French Oak barrels to start with the malolactic fermentation. The 12-14 months aging period follows before being bottled to be kept for another 12 months before being released to the markets. The result is always an authentic wine, complex, long lasting and very elegant. 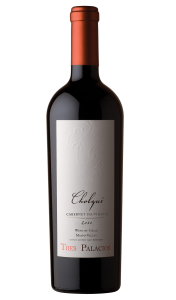 Cholqui is the best expression of Cholqui, Maipo Valley. is there a generic cialis.